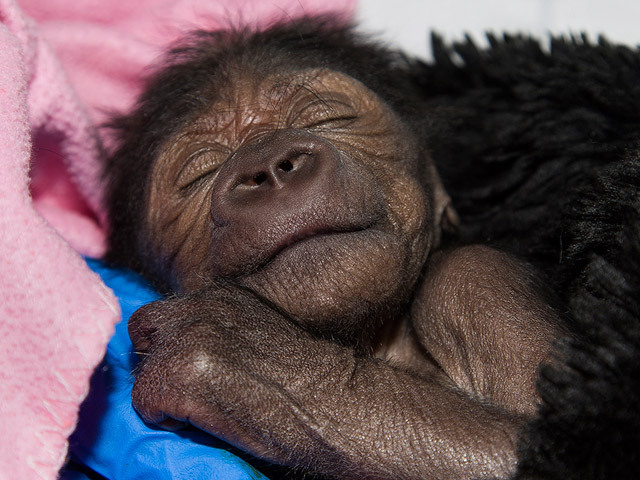 Veterinarians at the San Diego zoo have performed an operation on a newborn gorilla that was delivered by caesarean section. The zoo says the 4.6lb (2kg) female seemed to have breathing problems, a team fixed a collapsed lung that probably occurred during delivery. The medical team included vets and two doctors who usually work on humans: a neonatal specialist and an anaesthetist. Neonatologist Dawn Reeves said the patient was different from human babies because, among other things, she can grab with both her hands and her feet. 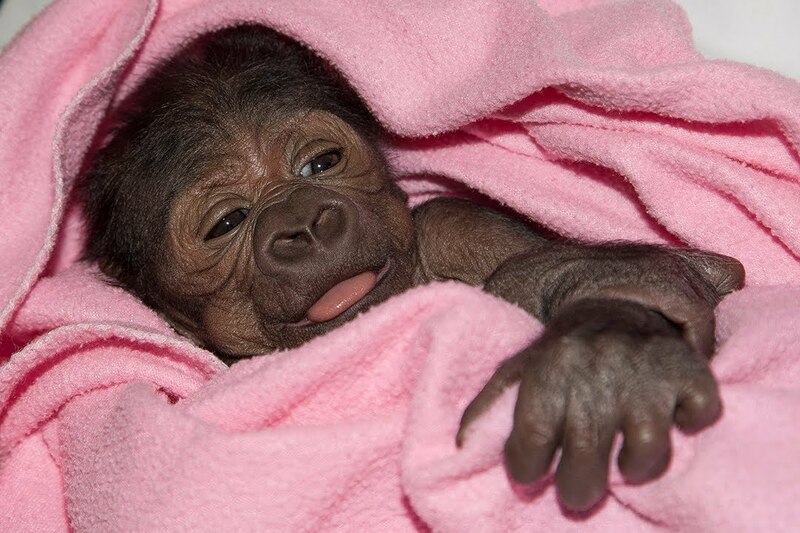 The mother gorilla, named Imani, had never given birth. The zoo says an emergency C-section was performed because she was in distress after going into labour. 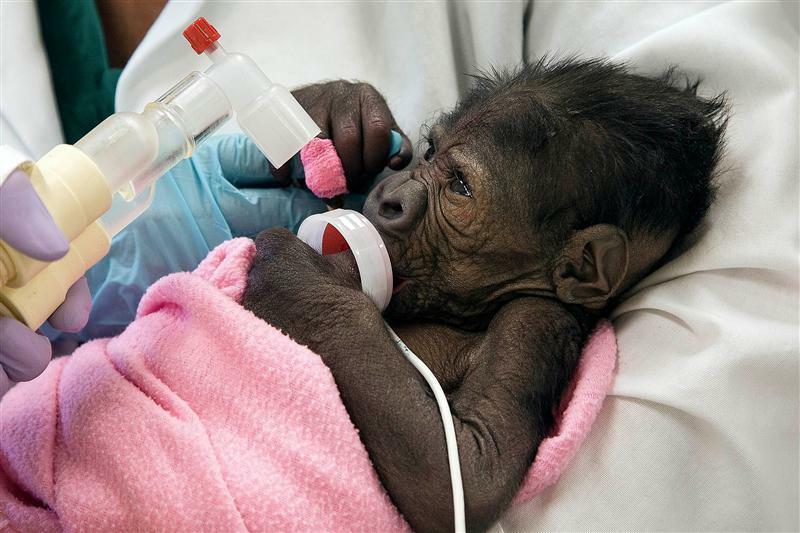 NBC reports that’s when doctors took Imani to the Safari Park veterinary hospital for an emergency operation, with the help of experts in human c-sections. ‘In retrospect the c-section was the right decision,’ said the park’s Associate Director of Veterinary Services Nadine Lamberski in a release. 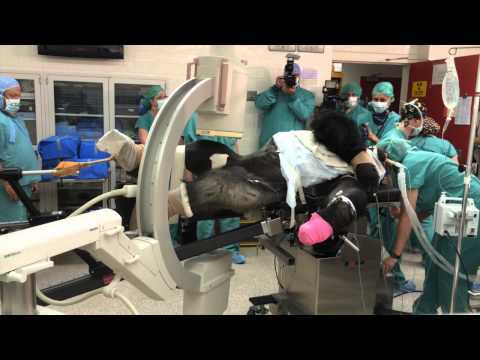 The operation was performed by the talented San Diego Zoo Global team and also by a veterinary surgeon and a neonatal specialist from UC San Diego medical Center. Female gorillas are often ready to give birth when they are about eight years old but the baby is 18-year old Imami's first baby. Gorillas also usually give birth quickly and easily so the zookeepers decided that a cesarean section is needed when Imami experienced labor distress.